special promotion or event in front of your audience. In need of custom banners? 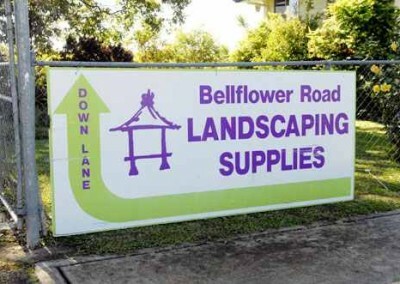 In need of affordable easy signage? 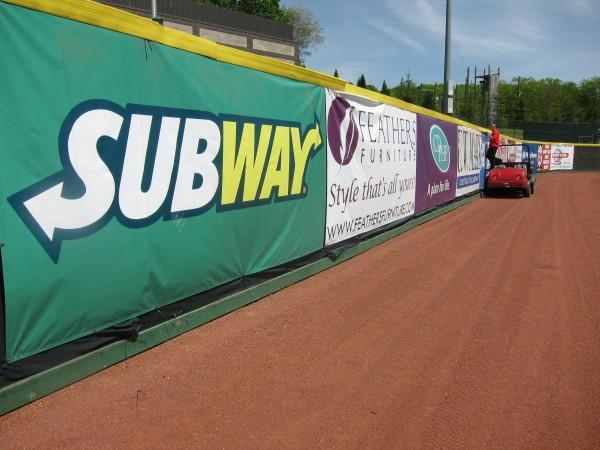 A customized banner might be the perfect signage solution. Our banners are created using only the best materials in the industry to ensure durability and quality. We have a variety of options to choose from when you chose a custom banner. We offer one-sided or two-sided banners which allow you to select a message you’d like to show. 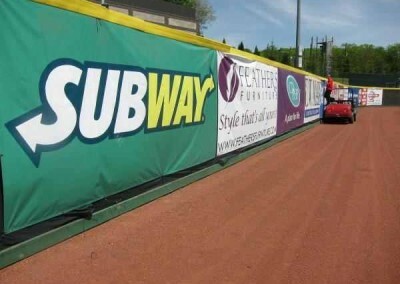 Placed in the right spot you can effectively utilize both sides of your banner. Using a banner you can advertise the messages you chose. Whether you’d like to advertise a major sale or put your logo on display, we’ve got you covered. We can create cut vinyl and fabric banners, whichever suites your needs best. 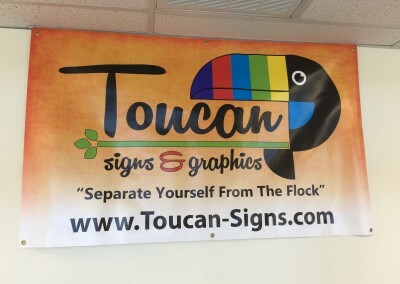 Toucan Signs and Graphics is dedicated to providing quality banners at an affordable cost. Whether you already have an idea or need the assistance of our graphic design team, we’re ready to help! 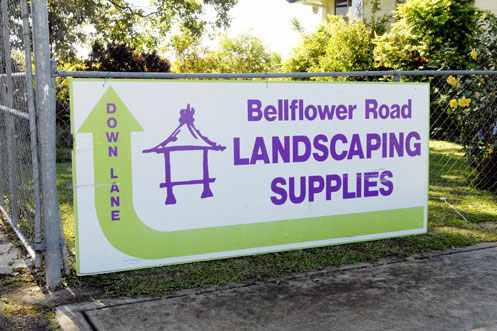 For more information about our banners and other forms of commercial signage give us a call. 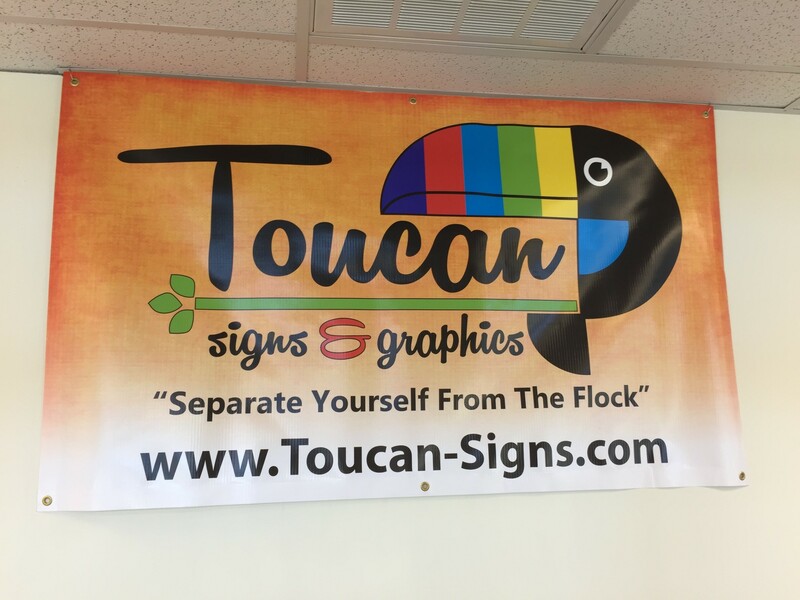 To receive a free quote please use the form to the right or info@toucansigns.com. We look forward to working on your new banner!